PORT OF SPAIN - “Tripartism is like a marriage. You make a vow to be there in good times and in bad times. It requires trust which is earned over time and by demonstrating that you are genuinely interested in making the relationship work. It also requires a real commitment to keeping the lines of communication open in order to resolve whatever problems may arise in the relationship,” says Claudia Coenjaerts, Director of the International Labour Organization (ILO) Decent Work Team and Office for the Caribbean based in Port-of-Spain. In light of the current labour relations landscape in Trinidad and Tobago in particular, but generally in the Caribbean region, it is timely to remember the importance of tripartite dialogue and the need for tripartite processes. Why do we need a tripartite process? When it comes to discussions among governments, employers’ and workers’ organizations, each party brings sometimes seemingly opposing interests to the table. However, governments, employers and workers need each other to keep the wheels of the economy going but the fact is that they come with very different perspectives. The ILO brings a unique perspective to the issue of tripartism because it is the only tripartite organization within the United Nations system. The mandate of the ILO is based on the very principle of tripartism: to promote cooperation between employers, workers and governments to bring about social justice. The ILO’s mandate is what is known as the Decent Work Agenda (DWA) which is simply the recognition that work, and not just any work but “Decent Work”, is a cornerstone of social justice and peace. 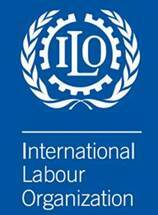 The idea of “Decent Work” has been around since the ILO was established in 1919 but the term was coined in the 1990s. “Decent Work” is based on (1) a tripartite consensus and social dialogue (element of fairness); (2) promotion of job creation (3) strong emphasis on rights at work and working conditions (security, equality, freedom); (4) the advancement of social protection and security. These are often referred to as the four pillars of the Decent Work Agenda. The establishment of the National Tripartite Advisory Council (NTAC) in Trinidad and Tobago in March 2016 brought with it the hope of tripartite dialogue and a willingness by all parties to work towards social justice. Mechanisms such as the NTAC are meant to be a forum in which governments can engage workers’ and employers’ representatives to help translate the DWA into national policies and programmes. The proper functioning of such a Council is meant to ensure that the interests of all parties are heard. Furthermore it is meant to be a forum which is consistently used to ensure that input and perspectives feed into policy decisions. Throughout the Caribbean, the ILO facilitates national tripartite processes through capacity-building, knowledge-sharing and promotion of best practices. The ILO stands ready to support in facilitating fora for successful tripartite dialogue in Trinidad and Tobago.